The historical Bat Tombs are thought to date back to the third century BC and was the second site in Oman to be included to UNESCO’s World Heritage list. Each year thousands of turtles lay their eggs at beach throughout the country. 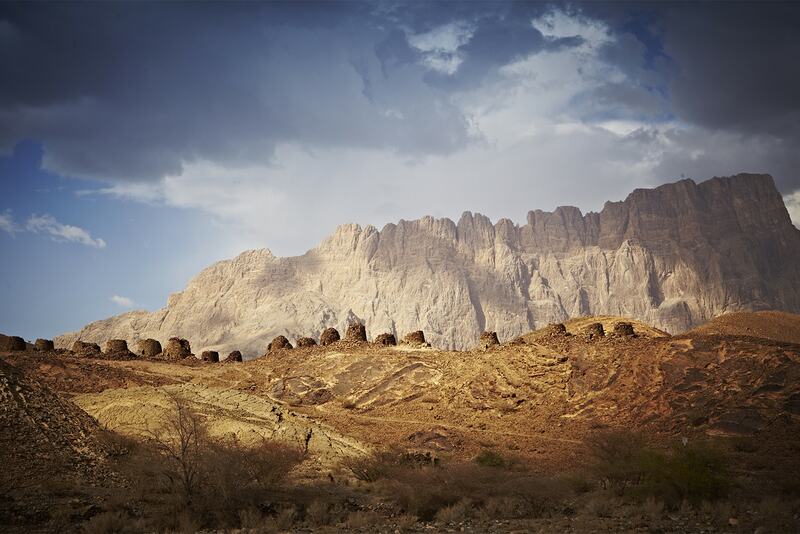 The evocative beauty of Oman’s desert landscape. 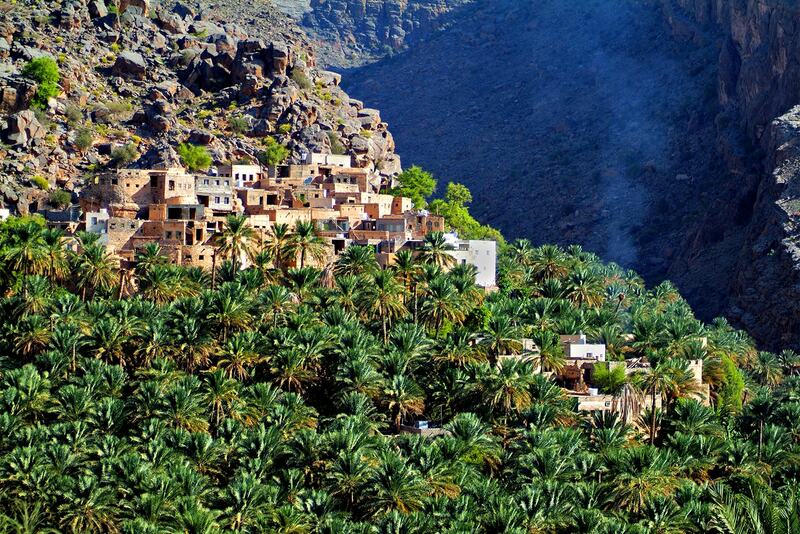 A village clings to the edge of a stunning mountain range, surrounded by verdant date palms. 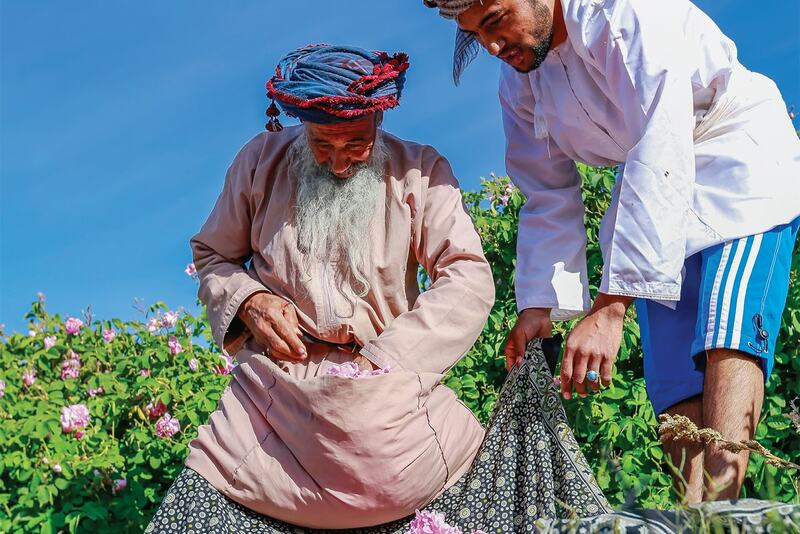 The fragrant rose harvest in Al Jabal Al Akhdar (The Green Mountain); Oman rosewater is considered some of the finest in the world. The Sultanate of Oman is a mesmerising concept. A country of ancient traditions and evocative beauty, where even the most cursory journey takes in the gamut of infinite deserts, dramatic coastline and fascinating mountain micro climates. 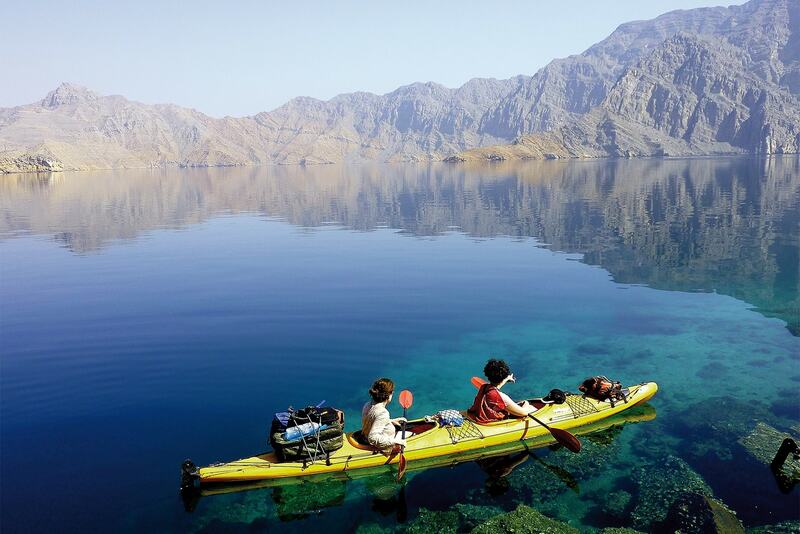 Here, the reasons you should be more than curious about Oman. On the Arabian Peninsula, bordered by United Arab Emirates (it’s around an hour’s flight time from Abu Dhabi or Dubai), with Saudi Arabia to the west and Yemen to the southern border. In a region where the grand gesture rules, Oman is delightfully understated in its appeal. Its rich history dates back to ancient times, but it truly prospered as a trading post for frankincense, the aromatic resin used for incense and perfumes. Oman’s storied seafaring roots (the Sinbad the Sailor legend apparently took root in the port city of Sohar, once the capital of the country) led to it becoming a major trade and commerce hub, eventually colonising Zanzibar in East Africa from where it exported pearls, ambergris, dates, copper and cloves to the rest of the world. Over the years the Assyrians, Babylonians, Persians, Portuguese and Ottomans have all sought to dominate Oman in order to make the most of its strategic position. Oman is made up of historic, low-rise cities, beautiful stretches of desert, atmospheric seaports, pristine beaches and jutting dramatic mountain regions. Traversing the country from top to bottom, from the arid expanses of The Musandam (a mountainous peninsula on the Straits of Hormuz that is actually detached from the rest of the country, separated by the United Arab Emirates) in the north to the relaxed coastal city of Salalah, confirms its staggering diversity of landscape. Another lure is the Omani people; with obvious pride in their collective history and culture, they are gracious and welcoming hosts. Oman is also an incredibly safe country to visit and travel within, having been listed as the 4th safest country in the world by the World Economic Forum. 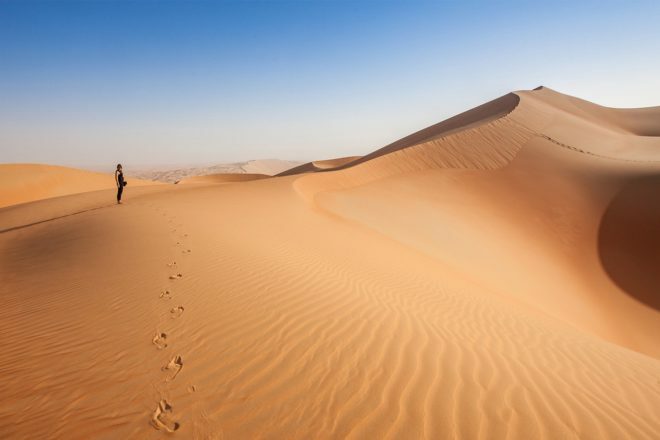 Plan a journey that passes over the almost lunar landscape of the Al Hajar Mountains, weaving through the evocative Empty Quarter, and hugging rugged coastal cliffs that give way to golden-sand beaches. At almost any time of the year you can you also witness one of the annual harvests that take place, when roses, pomegranate and apricots fill the air of The Green Mountain (Al Jabal Al Akhdar) with fragrance and colour. Boating – its maritime history and long stretches of coastline afford ample opportunity for taking to the water, on everything from kayaks to traditional dhow. Some villages, like Kumzar in the far north, can only be reached by boat. Scuba diving – the diving here is some of the best in the region, with ample sea life and diverse underwater terrain, from caves to coral reefs. Try sites in or near Muscat including Al Khayran, Al Fahil Island, Dimaniyat Islands, Al Makbara Bay, and Al Jissah Beach. April to July is optimum diving time, but conditions are usually good all year round. Ancient sites – Such a patterned history means that Oman is littered with archaeological sites and ruins to explore; put the Bat Tombs in Bat, Al Khutum and Al Ayn in A’Dhahirah , Al Manzafah in Wilayt Ibra in A’Sharqiyah, the ancient port of Al Balid City in Dhofar, and the Hasat Bin Salt inscriptions that date back to the dawn of history in Wilayt Al Hamra on your list. 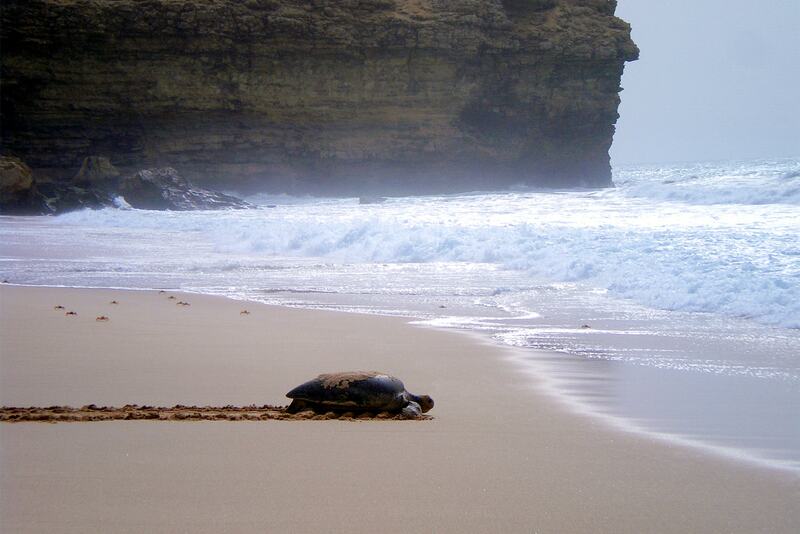 Turtle watching – Oman has five of the seven species of sea turtles in the world; each year thousands of turtles migrate from the Arabian Gulf, the Red Sea and Somalia and lay their eggs at beach throughout the country.